This method of movie watching inevitably favors one genre and shorts another. It’s easy to love a drama you watch at home because it’s hardly different than watching in the theater – that is, the audience is mostly silent for the duration of the movie. It’s hard to love a comedy because you have no one’s reaction but your own to measure as audience laughter has a significant impact on how we perceive the humor of a movie. Plus, no one really likes to laugh by themselves. So when I come across a movie that can make me laugh while I’m curled up alone underneath my bed sheets, I rejoice! 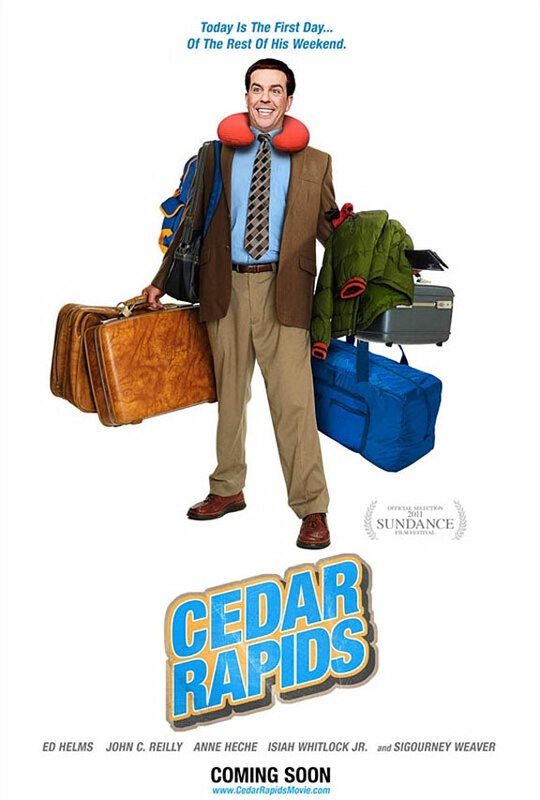 Ladies and gentleman, “Cedar Rapids” is one of those movies. Sure, it may be hopelessly pathetic and wallow in endless jokes of naïveté, but it’s actually funny! I laughed! A lot! In bed! Seriously, that doesn’t happen very often at all!